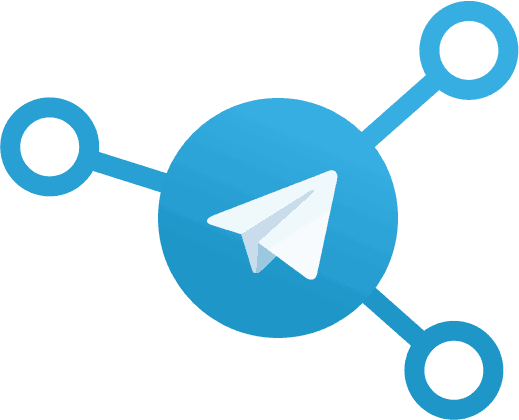 Telegram’s high capacity groups, makes it the go-to platform for a large number of dedicated communities. And due to the platform’s design, it is quite common within these communities to post using pseudo-names (aliases). Sometimes, you might want to maintain a separate account for the above purpose, rather than using your personal one. But the official Telegram app only allows you to log into one account at a time. If you want to use two Telegram accounts simultaneously, you’d need a third party client along with the official one. Wait… a third party client? Does any such thing even exist? For any other IM app (like WhatsApp, or Line), the answer would be no. But Telegram makes an exception. The company has opened up the Telegram API to third party developers to build custom versions of the app, based on the core services and features of the original app. In this article, we’ll explore a few third party Telegram clients that are as good as (if not better than), the official Telegram apps for iOS and Android. Loopy is one of the best third party Telegram clients available on the App Store and Google Play Store. It supports all the features of the official apps, and even contains a few value-adds as well. For instance, Loopy lets you manage teams, family members and events. Additionally, Loopy’s built-in media player can play formats like FLAC, Opus, Apple Lossless, etc., which is not supported in the original Telegram app. Since it uses the Telegram API and platform, you can instantly access all your chats and groups if you login to an existing Telegram account. The app is available for free on the App Store or Google Play Store. Plus Messenger is a third party messaging client, built on the Telegram API. It brings various customization options to the platform, including over 4000 different themes. Apart from theming, the app includes a host of additional features, which are not available in the official Telegram apps. Some of the extra features include direct sharing on any chat, direct sharing without quoting sender, saving files with original file names, custom compression while sharing photos and videos, additional fonts and emoji, and a lot more exciting options. Plus Messenger is available in multiple languages, and being constantly updated by the Plus community. You can download Plus Messenger for free on Google Play Store. Download the official Telegram app on your iPhone, iPad, iPod Touch or Android device. Install another third party Telegram client (such as Loopy or Plus Messenger) from the App Store or Google Play Store. On one of the clients, register or login to Telegram using your regular mobile number. You can use this account for communicating within your inner circle. On the second client, register or login to the service using a private phone number (that is only known to you). This would act as your alias profile, which you can use to communicate anonymously in several groups. Now, you’re all set. The two Telegram clients will operate individually as two different messaging apps, yet, both will access the same Telegram platform. You can maintain two separate identities on these, and get notifications for both accounts simultaneously on the same iOS or Android device. Was the information in this article helpful? Let us know in the comments below.